The Heather is an intimate six seat chef's table. We deeply appreciate the creative work Matt and Meg are doing and are enthusiastic about supporting their valuable contribution to this community. Fantastic Food and Atmosphere. They were even able to deal with a surprise visit from a food inspector without taking away from our evening. I really enjoyed that all the food was made in front of you. Wonderful experience..Hamilton has a new gem. It was an amazing dining experience. The menu and wine pairings were so thoughtful and beautifully executed. The service was prompt and attentive. The atmosphere was warm, cozy, and inviting. I felt right at home. It's clear they have a passion for what they do! We'll certainly be back! From the moment we walked in our experience was nothing short of amazing. We were warmly greeted and promptly seated at our table. Each course bursted with unique flavours that complimented one another perfectly. I could not have asked for a better dining experience!! So impressed with The Heather! Will definitely be coming back soon. This is really a great place if you want a very good meal. Of course you have to want a 2-2.5 hr tasting menu. We loved it and would recommend it. I thought the chef did some very interesting combinations particularly with root vegetables. The first appetizer with the squid and pear was my favorite. Amazing. Hamilton’s gem of a restaurant. This place is a clear no brainer, if you're into quality food and drink and/or are interested in the world of progressive restaurant. There is so much beauty in the simplicity of this place's model, that it works to ensure the perfect experience it strives for, every time. It's an especially beautiful thing that the only two employees are a husband and wife duo, who put their love and passion for food and wine, AS WELL AS for one another, on full display, in the space's seriously intimate setting. 12 seats only and just one seating a night, IS this place's point of difference... not to mention the level of detail and talent that goes into each dish and wine pairing. Overall, as far as tasting menus go, the price is incredible, when compared to similar menus in other areas of the GTA, and no tasting menu in Hamilton should even be compared to what this place is offering. The Heather stands in a league of its own, in this city, and it is an absolute mystery to me why the buzz on the streets hasn't been more in my face until now. This place is truly special. It is not intimidating. It is one of the cooler dining experiences I've had in a long time. I can't wait to go back and, fully, intend on sharing this experience with anyone who will listen. And if cost is still a factor for you, forgo two 'meh' dinners at most any Hamilton restaurant, and augment your experience tenfold, by embracing one night at the Heather. We can't wait for the rest of the city to get more excited about this level of dining, to catch up to what this place is trying to build, so we can enjoy MORE of these types of experiences here, in our hometown. Cheers to the Heather. 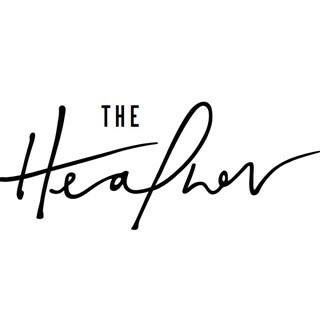 We are fortunate to have The Heather in Hamilton - it is milestone and evidence that the food/restaurant scene of the city is growing from adventurous teenager into mature adult. The food is delicious, featuring unexpected treatments and combinations of local ingredients. The plates are wonderfully balanced. The richness of a quail is set with lush sunchokes and brightened by thin slices of pickled honey crisp apples. Heaven! Also, with the number of courses and the work involved, value for money is excellent. Looking forward to going back and bringing others. Skilled and thoughtful food. Lovely, simple environment. Unique dining experience. The entire experience was fantastic. The meal was extraordinary, the service could not have been friendlier or better. This has created a memory for us which we will not soon forget and we look forward to spending another evening soon. Although I think there's many great things to discover in Hamilton, this restaurant can be your sole reason to visit. Why didn't you book yet? Meg and Matt are wonderful hosts. They welcome you into their restaurant, share with you their love of food and drink and turn a night out into something very special. The meal is not inexpensive. But there is value in the quantity of ingredients, preparation/technique and presentation... making the overall experience: priceless. Would have likely a couple more warm dishes. Matt and Meg not only crafted the finest food and wine pairings we've ever enjoyed, but they broke down one of the only obstacles I've had in truly enjoying fine dining. They made us feel like guests in their home instead of a table number. It was a joy to not just delight in their food, but to share our night with them. So glad we were able to finally get in! Such an intimate setting and so many inspired dishes! The service was so personal! This place is likely to inspire many copycats. We will definitely be back! Very enjoyable meal with innovative dishes. Relaxing evening with excellent service. Menu has been low on meat though which we find is a drawback - would appreciate 2 meat courses at least, of the 7. Could always have a vegetarian evening so people can pick when to go. I love that the menu was already different less than 2 months from our previous visit. Our entire group thought the food was great; some really unique and delicious flavors! We were blown away by the food, service and the intimate nature of our dining experience - feeling as if we were guests in the chefs personal home. My husband and I co-host an annual high-end food and wine tour with wine writer Tony Aspler (The Aspler Wine Tour organized through Pauwels Travel - now in our 12th year) and over the course of our travels we have dined at the most exquisite restaurants in Europe both Michelin starred and special dining experiences off the beaten track. The food and service we experienced at The Heather was truly exceptional and in our opinion was definitely "Michelin Star" worthy. Congrats on your new adventure - I'm sure it won't be long before you will be completely overwhelmed by your known success. Cheers! We had an absolutely incredible time on Saturday. The ambiance, the pace of service, the quality of the dishes and the wine pairings were spot on. We will absolutely come back and look forward to bringing friends and family for a genuinely unique dining experience. A unique fine dining experience in Hamilton. 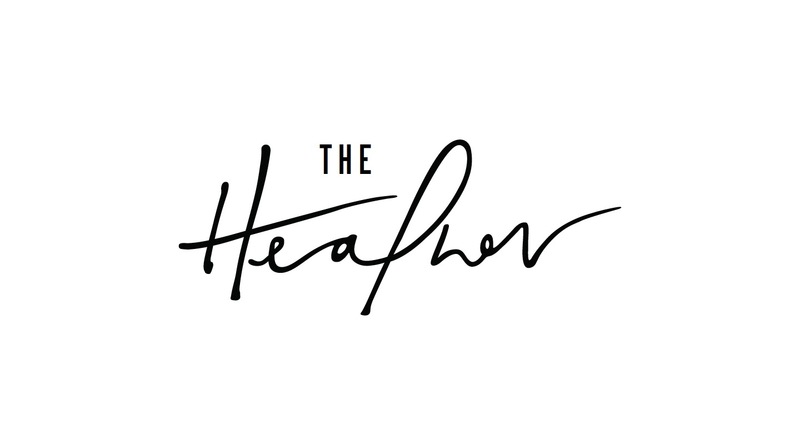 The Heather is super intimate, Chef cooks in the open dining room, as well as serves and explains each dish. Very nice touch. An experience designed for foodies! In a sea of new restaurants in Hamilton, The Heather is the real deal. Matt is a restaurateur and chef who is at the top of his game. He makes AMAZING food that is creative and delicious. The atmosphere is relaxed and friendly and Meg is a great hostess. It is a truly enjoyable place to be. Some may say that it is pricey, but for fine dining that really is FINE DINING, not just what the sign says on the door, it would be cheap if it was twice the price. This is what other places aspire to be.